Garden Playhouses: The Ultimate Summer Gift? 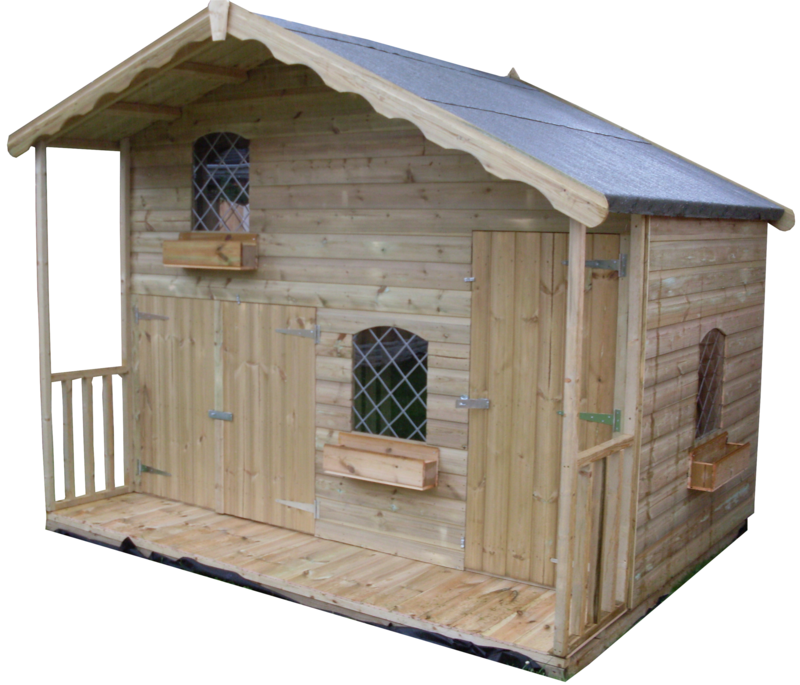 The Swiss Chalet is one of the most attractive structural styles and is instantly recognisable. 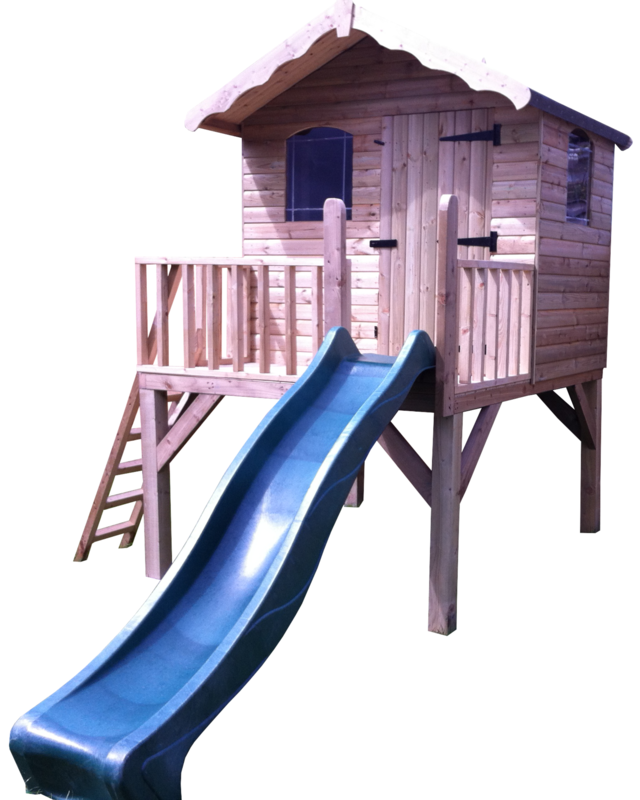 This playhouse is modelled on that charming, sophisticated and elegant style and is available in a choice of sizes from the compact 6' x 4' to the luxuriously-grand 8' x 6'. Featuring an exciting patio, the Ollie Playhouse will make an attractive addition to any garden with its gorgeous pink colour. The playhouse is elevated on four sturdy legs and is reached by its very own set of steps. For the ultimate finishing touch, add an optional slide exit! This is our last word in summer playhouses and might be more accurately referred to as a play mansion! Designed to an impressive scale of 10' x 6', the Abby Playhouse has a truly-arresting asymmetric roof and, for the complete effect, add our optional veranda. All of these playhouses are made using timber of the highest quality. The timber is tanalised, a process that involves chemically preserving the precious wood, making it durable enough to stand outdoors all year round, whatever the weather. 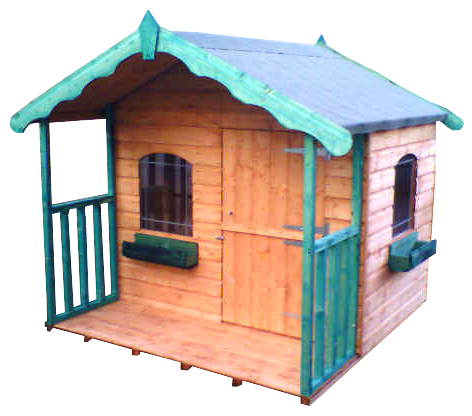 Each playhouse can also be supplied with an attractive logroll finish. Check out more details on the product pages and buy the ultimate summer gift!